Edge of Escape | Commit Marketing | A Full-Service Marketing, Web Design & Development Firm Located In Sarasota, FL. 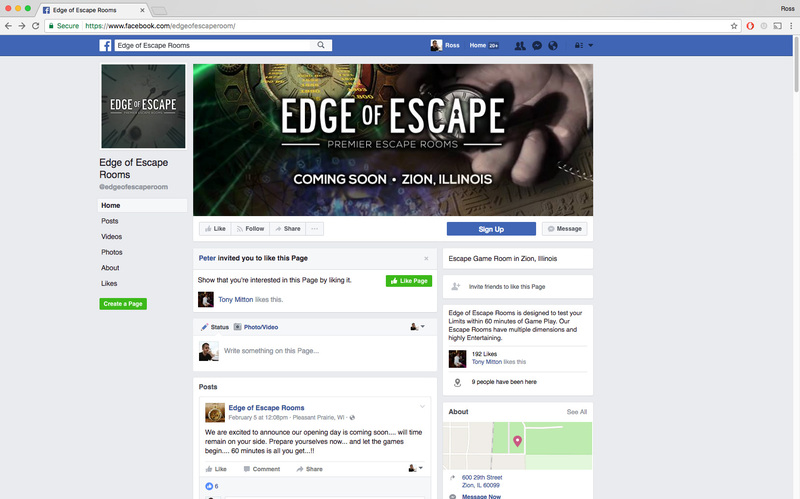 Since developing one of the best and largest attractions in the Midwest, the creators of the Dungeon of Doom have recently opened Edge of Escape! Once you’re inside, the doors lock and the time starts in this challenging escape room attraction. The team at Commit was challenged to deliver a logo, custom graphics and an engaging, goal-driven website that could grow with time. This single-page website was designed and developed to include key content about the attraction, social media links, videos, newsletter sign-up and ticket purchasing. 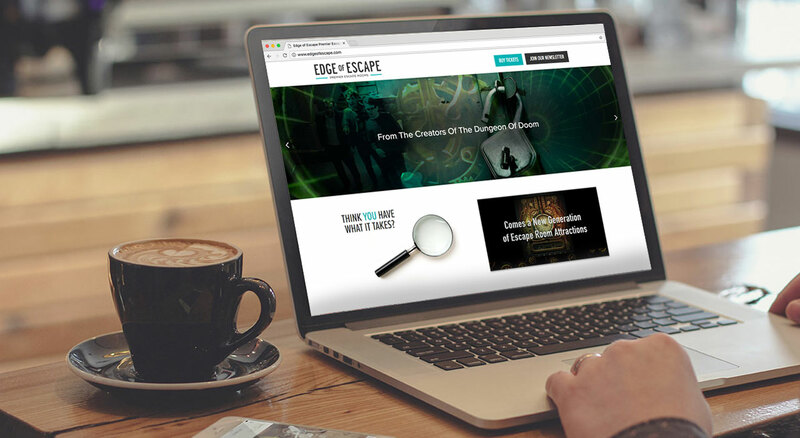 After designing the logo and defining the brand, we designed and social media graphics like the profile and header images to set the tone of Edge of Escape.